Juice is a staple in my family. My Panget loves juices - and he has passed it on to Connor. So every time we do our groceries, for sure you will find tetra packs of juices in our cart. Their flavor of choice - Apple and Grape. And so when I learned that #OishiGreatLakes has an apple and grape juice, I was excited! It was honestly, perfect! 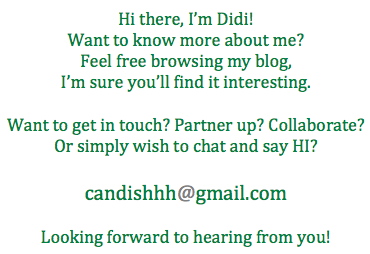 I was so excited that I told Connor about this and he got excited too! And so when we received our lovely crate of #WholesomeRefreshement - it was Connor who did the honors of opening it and he was so happy to see apple and grape juices! He so loved the small tetra packs, and declared that those will all be his baon (he also said he will not share with Achi Kailee). 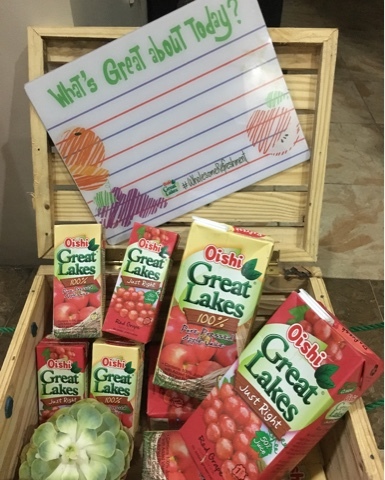 I will be for sure on the look out for #OishiGreatLakes Just Right Grape juice and Pure Pressed Apple juice on my next supermarket run. I will buy a box of the small tetras for Connor's baon. Most of the time, it only takes one little thing to make a day great. And even when it comes to switching your normal routine, it only takes a small step to welcome change for the better. When you’re caught right in the middle of the hustle and bustle of the city grind, stressful days can be right ahead of you. Yet starting a healthy lifestyle doesn’t have to be grueling — take that stride with Great Lakes! Great Lakes is a line of natural fruit juices with pure and wholesome goodness, made from the finest fruits and vegetables. Everything about Great Lakes is all-natural— that means no artificial coloring or flavors, and no sweetener. Starting with its original flavors, Fruit and Vegetable Mix and Tropical Fruit Mix comes the two newest refreshing flavors from Great Lakes: Pure Pressed Apple and Just Right Red Grape. Aside from their naturally beneficial properties, the Great Lakes juices have a clean, refreshing taste that is not too sweet, nor too bitter as is expected in natural fruit juice. Great Lakes Pure Pressed Apple is made from 100% apple juice. Cloudy in color is caused by the fiber in apples, thus imparting a different taste than the regular apple juice. Just Right Red Grape, on the other hand, has just the right amount of natural grape juice, giving it a taste that is “just right”. Great Lakes is a must staple at home as it offers wholesome refreshment that can be enjoyed by all ages! With it’s two yummy new flavors, it’s an easy and refreshing way to bring more fruits and vegetables into your family’s diet! So even when you’re stuck in the middle of a bad day, turn it around with an all-natural, refreshing drink that taste great – Great Lakes! Great Lakes is available nationwide in major supermarkets and convenience stores, for P20.00 for handy 250ml packs, and P70.00 for the resealable 1L variants.